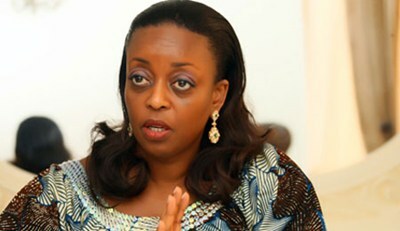 The Economic and Financial Crimes Commission, EFCC, Lagos Zonal Office has secured the interim forfeiture of property linked to a former Minister of Petroleum Resources, Diezani Alison-Madueke, Donald Chidi Amangbo and Sequoyah Properties Limited. A Federal High Court, sitting in Lagos, presided over by Justice Chuka Obiozor, granted the order for interim forfeiture of the property traced to Diezani. The property is located at Plot 9, Azikiwe Road, Old GRA, Port Harcourt, Rivers State. The order was pursuant to a motion ex-parte dated March 4, 2019 brought by the EFCC. Ruling on the motion ex-parte, Justice Obiozor held that: “An interim forfeiture order of this honourable court is hereby granted, forfeiting to the Federal Government of Nigeria the property which are reasonably suspected to be proceeds of unlawful activity.” The court further ordered the EFCC to publish the order in any national daily in circulation in Nigeria “and particularly in circulation in Port Harcourt and Lagos, and all persons interested in the said property are further put on notice to show cause why the final order of forfeiture of the affected property ought not to be made by this court.” The court is expected to give a further ruling on May 9, 2019.